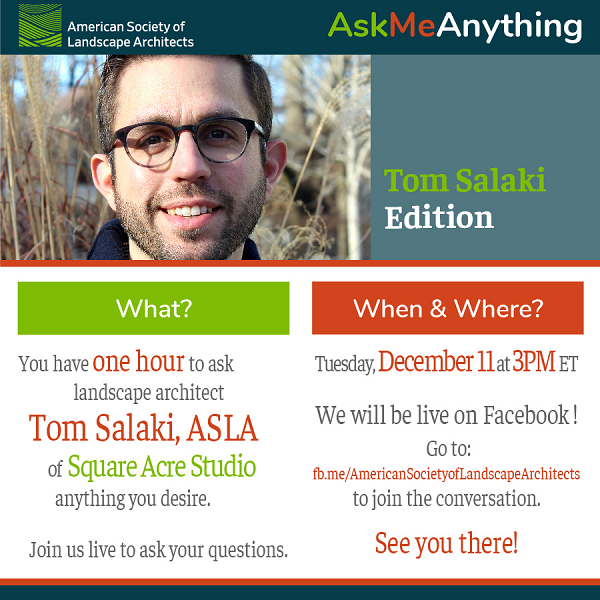 The next “Ask Me Anything” will be host to Tom Salaki, ASLA of Square Acre Studio. Tune in to our Facebook page and join us live at 3pm (Noon PST) on December 11 to ask Tom some questions about his experiences and perspectives within the profession. The promotional graphic has been attached for your use.